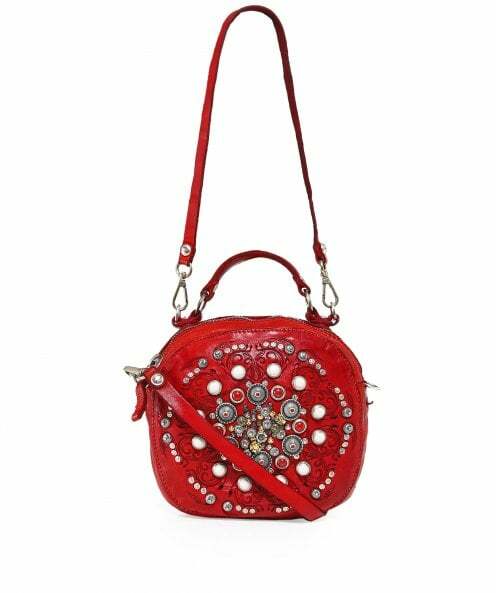 Add a dose of designer luxury to your bag collection with the Campomaggi studded bowling bag. Beautifully crafted from soft premium leather, the shoulder bag features a carry handle, removable and adjustable shoulder strap, silver toned hardware and cotton lining. Complete with pretty metal and gemstone embellishment as well as laser cut details to the front, this beautiful bag boasts a luxurious finish. Each Campomaggi bag is unique, with its own colouring and deliberate dying pattern that cannot be replicated.